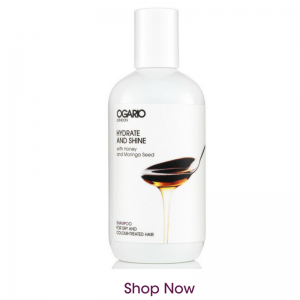 At the beginning of August, we shared our tips for caring for colour-treated hair in the sun. Can’t believe we are in the middle of August already! 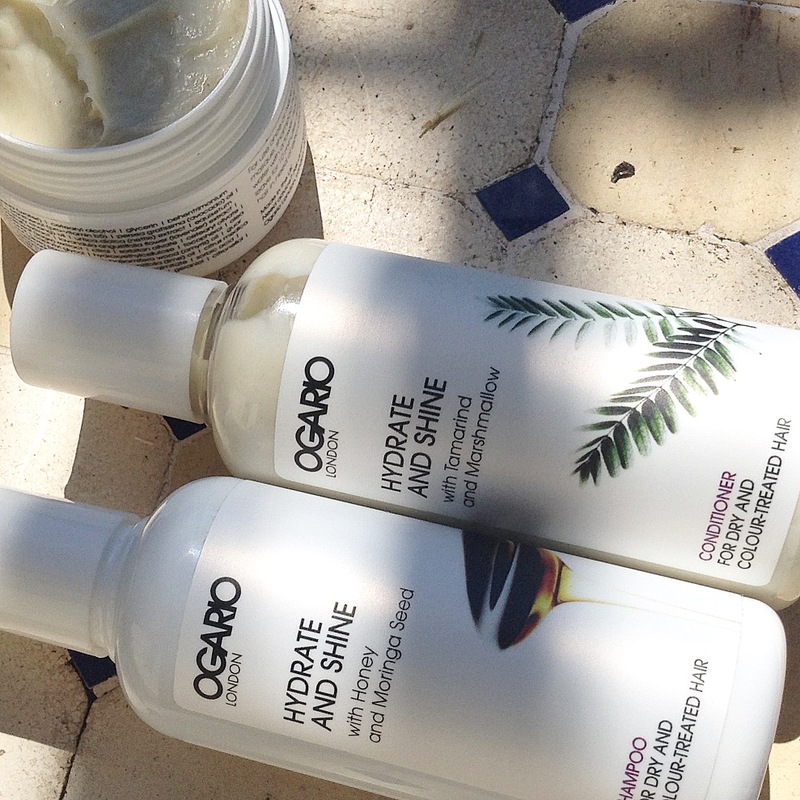 Caring for colour-treated hair is a constant topic of conversation here at Ogario London HQ. At least 50% of our team here have colour-treated hair and as we discussed the importance of conditioning and hair masques, our conversation turned to mindset. Colouring your hair for the first time is a big step. It’s exciting, whether you are making a radical change or enhancing your natural colour. But it’s also a big commitment. You have to give a lot more thought to caring for colour-treated hair. There are roots to consider, dry ends to manage, over-lapping colour to avoid and a different hair texture to manage. When you colour your hair you really do have to adopt a different mindset in how you take care of your hair. This may sound daunting but fear not, we’ve come up with our top tips to help you take care of your colour-treated tresses with ease! Where once your hair might have been more forgiving, colour-treated hair can become dry and damaged with excessive heat. Give your hair a break. Try air-drying your hair at least once a week. Turn down the heat on the hair dryer. Rough drying can be done with a cooler temperature. Reduce drying time. Most of us are more likely to over-dry hair than not! Drying your hair probably takes less time than you think. Try reducing the amount of time your dry your hair for by 1-minute each time you dry. We are certain most people can reduce the time heat is applied to the hair and get better results. Think about giving your hair protection and extra condition as you style. 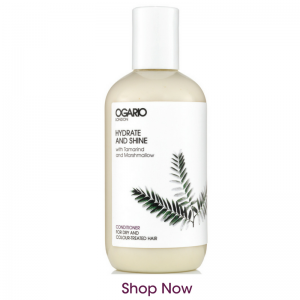 Choose multi-tasking products that work as a leave-in conditioner as well as a styling product. Choose styling products that will hydrate your hair. Ingredients such as alcohol denat and silicones can be drying for the hair so avoid them if you can. 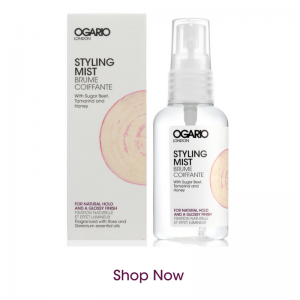 Our Styling Mist for Natural Hold and a Glossy Finish is a favourite with our clients who have colour-treated hair. They love it because it gives extra condition to hair, making it easier to style and it gives heat protection. Ok, so we know we are repetitive! 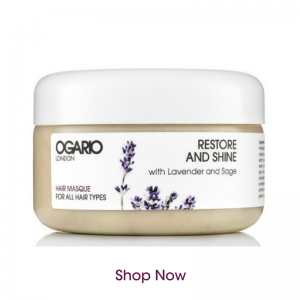 But forgive us, because it really is the best way to take care of your hair and guess what! Colour lasts longer in hydrated hair. Condition every time you wash your hair. Never skip. If your conditioner is not working for you. Find one that does! Always squeeze the water out of your hair before you apply conditioner. We always get so much pushback on this one but its the easiest thing in the world to take a small hair towel into the shower and give your hair a quick squeeze. No time? It takes seconds. Hair masque once a week. An intensive conditioner will help replenish everything the colour-treatment took away from your hair. Do this once a week, every week and you will be amazed at how long your colour lasts and how much easier your hair is to style and manage. Think you don’t have time? Think again! Check out our blog for ideas on how to make time for your weekly hair masque. Ultimately caring for colour-treated hair is about creating a good routine that you can commit to following and that works for your hair. If you’ve invested time and money in a colour-treatment it makes sense to protect your investment. Changing the way you approach your hair is not that big a deal, it really is just a change of mindset. Summer Fruits: Body-building for Hair!